Ejazzle's Toilet: photo of the day! There's no time like Toilet time! 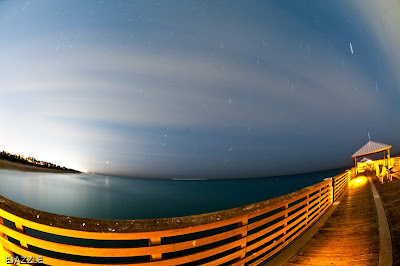 Shooting long exposures on the pier at night was something I had yet to try. It was 4o degrees out with 10 to 15 mph winds. The weather was chilly to say the lease. With my remote shutter release in one hand and hot chocolate in the other, I managed to snap this 736 second exposure of the Juno beach pier with the cities of Jupiter and Tequesta in the background. This was my first time using the 10.5mm fish eye for long exposures. It really gave an even better effect than what I was hoping for! Send me an email at Ejazzle44@aol.com if you would like the picture larger for your desktop. Please Email me at Ejazzle44@aol.com if you would like to buy any photos! Feel free to email me at Ejazzle44@aol.com for any questions about photography, buying prints or just to say "Hi"
Go pro Helmet hero HD! Ej Peterson dot com is a place where i can share what what i want to share with the world. Ej Peterson. Powered by Blogger.